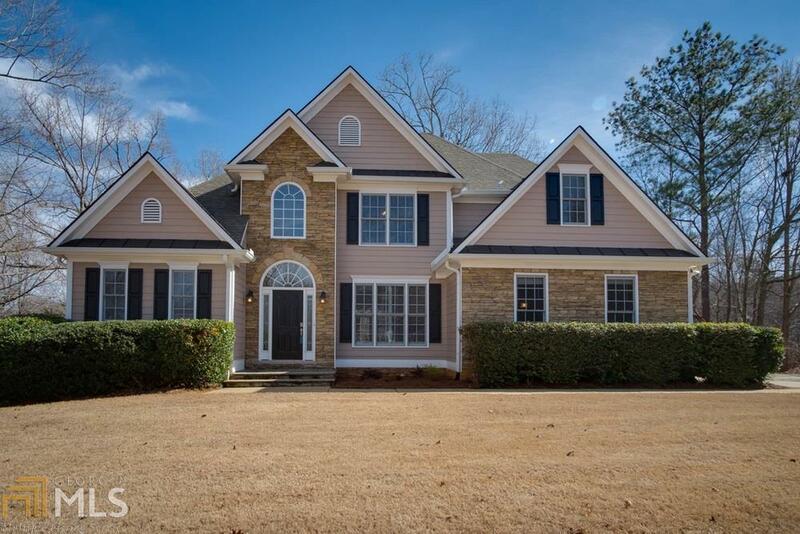 This immaculate move-in ready home awaits you in the very popular area of Canton! Great updates in the kitchen with stainless steel appliances, granite counters, and cabinets. The kitchen has a breakfast area and flows into the fire kept family room. The hardwoods on the main level are gleaming! Large master suite with wonderful tray ceilings and separate shower and tub. Great bonus room upstairs allowing for tons of extra play area. Huge unfinished basement welcomes your finishing touches. Great schools and popular Estates at Brooke Park!